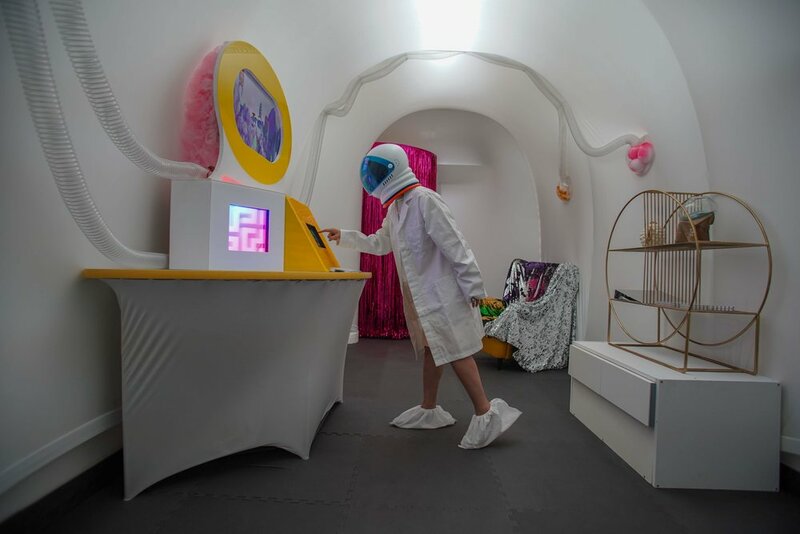 Ben Rosenblum Studio collaborated with The Makery and the Originators on the design and fabrication of Spacetime, a puzzle room installation. 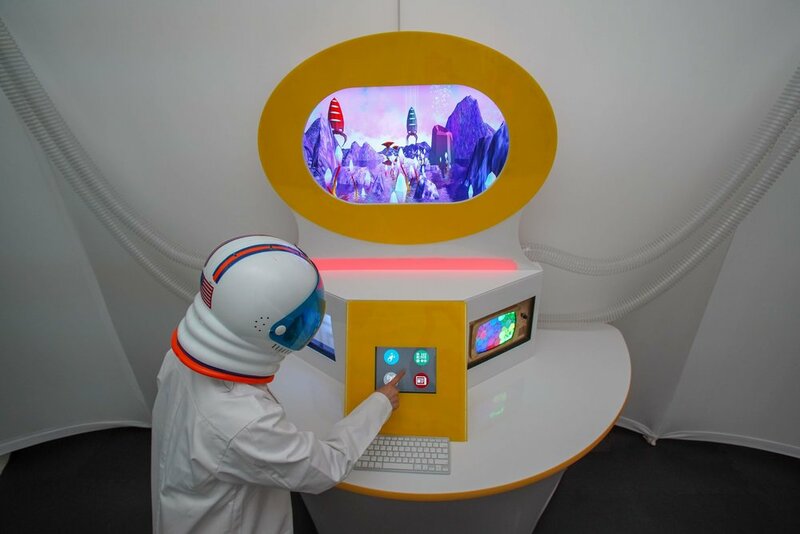 Located at The Makery in the Chelsea neighborhood of New York City, we transformed a former office space over the summer into a Spacetime cruiser installation, a fun immersive puzzle room experience. 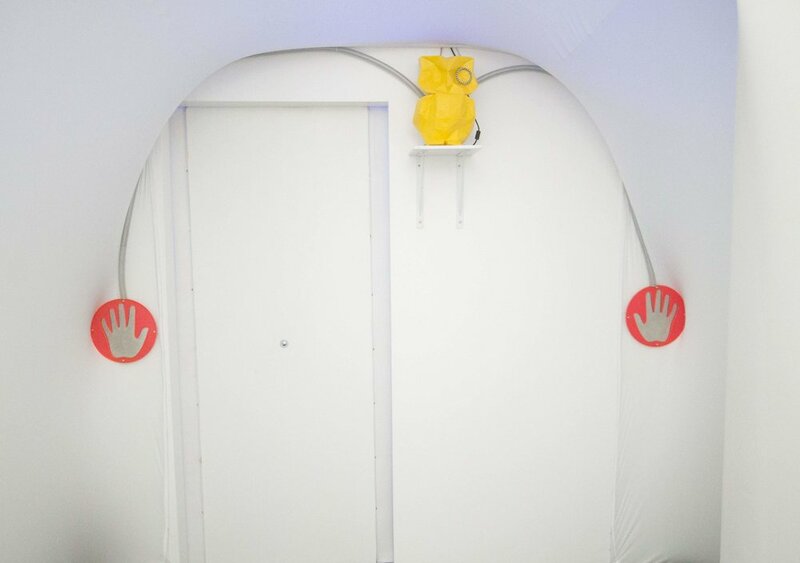 The interactive installation is currently open to the public. 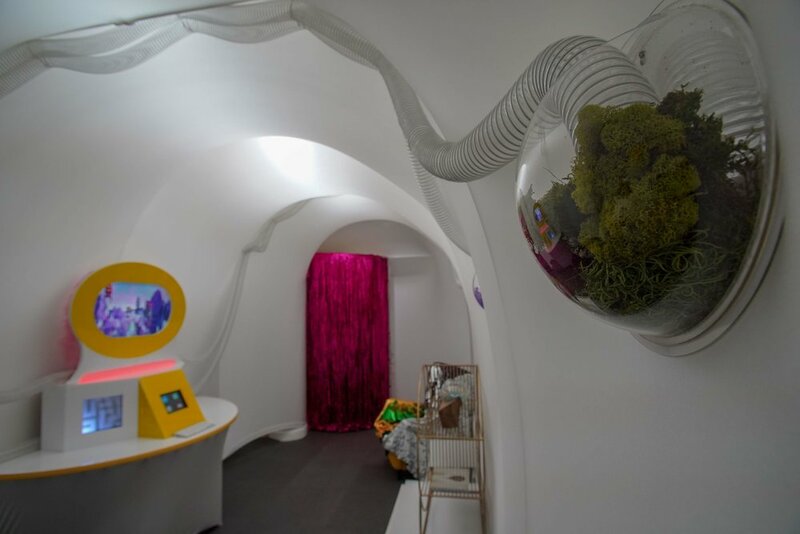 The premise of the puzzle room is for a team of visitors to board and voyage to different places in space and time, and to be inventive to figure out how to get back to present day earth within the time limit. Ben Rosenblum Studio, with Pam Chaiyachakorn a former Pratt student, took the lead on the visual design of the Spacetime cruiser, while Hsing Wei of The Makery developed the overall concept and designed the puzzle and technology-oriented elements. The Originators created and installed the tensile fabric envelope of the cruiser.